Thinking about getting a Chemical Peel, Microdermabrasion, Laser Hair Removal, Laser Skin Rejuvenation, Botox, Dermal Fillers? Since 1999, spas and laser centers seemed to have popped up on every corner! Even family physicians and dentists are capitalizing on the aesthetic bandwagon. Everyone seems to want to get in on this booming business. Unfortunately, not all skin care professionals are created equal. I have had clients come to me who were treated by inexperienced physicians, aestheticians or laser technicians who have caused skin damage and permanent scarring. It’s not unusual for an aesthetician that works in a plastic surgeon’s office or dermatologist’s office have no more training or have any more experience than an aesthetician that works in a hair salon. Many skin care providers are performing laser services in doctor’s offices without having the proper certifications. An RN may be performing skin care procedures in a doctor’s office without having the proper training in skin care as a licensed aesthetician. RN’s are also required to get proper certifications on lasers, dermal fillers and Botox. As with any medical procedure, proper training and experience is critical. I can’t tell you how many new clients have come to me dissatisfied with their skin and laser treatments after spending excessive amounts of money. Such procedures as “lunch time peels” laser hair removal, skin tightening/skin rejuvenation lasers, light treatments such as intense pulse light (which treat brown pigment and vascular lesions) can take several treatments to reach a desired goal. If you cannot afford to commit to the multiple treatments, most likely you will not be happy with the results. Many providers offer pre-paid packages which can save you money. Medical skin care procedures including dermal fillers, Botox and medical grade products are not cheap. The doctor, nurse, or aesthetician you choose for your services should possess the knowledge and should take the needed time to educate you so that your expectations are met. If you feel rushed with your provider chances are you will not be happy with your results. As a consumer, it is also your responsibility to ask questions and become educated about the services you are requesting. Even providers with years of experience and proper training can error. There are risks and complications in aesthetic procedures as there are in any medical procedure. However, if you find a provider who has the experience and training and is willing to take the time to spend with you…. these risks can be minimized. Your procedure can be a positive life changing experience! “Lynn Victoria has impeccable skin care skills as well as performing outstanding injectables such as Botox and dermal fillers. I have been to many practioners for such procedures, however, Lynn has always given me the BEST results! I highly recommend Lynn’s services. You will notice a difference!!! 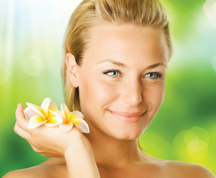 Call today for a complimentary consultation and receive $25 off all skin care services for new clients. Skin care is my passion, not just a job. 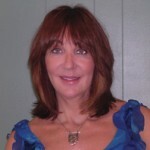 I arrived at a career in skin care after spending 20+ years of RN experience with a clinical specialty in wound care. As a visiting nurse, combined with my love of being around people and healing skin, I feel fortunate to have found a path that is so well suited to who I am. Thirteen years ago I furthered my education and graduated from a school of aesthetics. This, coupled with my nursing background, I feIt put me on the perfect path to begin my journey. I am now certified on many aesthetic lasers; Botox, Dysport, Dermal fillers~Perlane, Restylane, Radiasse, Juvaderm, also, medical microdermabrasion, medical grade facial peels along with the use of pharmaceutical grade products. My work experience has been with dermatologists and plastic surgeons. In 2007, I launched, managed and directed the medical aesthetic program for Brandywine Cosmetic Surgery in Wilmington, Delaware. Through this experience, and the independence allowed me, the next step on my journey was to open Lynn Victoria Cosmetic and Medical Skin Care. I look forward to meeting you and working with your skin to make it look its very best. Next Story → Intense Pulsed Light (IPL) Has Many Uses!